The Chinese government on Wednesday issued a white paper on southwest China’s Tibet Autonomous Region, applauding its development path and denouncing the “middle way” advocated by the Dalai Lama. The white paper, under the title “Tibet’s Path of Development Is Driven by an Irresistible Historical Tide”, holds that Tibet’s current development path is correct. Tibet’s continual progress on its present path of development is an objective requirement of modern civilization. It accords with the progressive trend of human society, the prevailing conditions and the current reality in China, and the fundamental interests of all ethnic groups in Tibet, says the white paper, released by the Information Office of the State Council. However, the report points out that there is a party who cluster around the 14th Dalai Lama, representatives of the remnants of the feudal serf owners who have long lived in exile, driven by a political goal of “Tibetan independence” and a sentimental attachment to the old theocratic feudal serfdom. Having failed to instigate violence in support of their cause, they turned to the “middle way”, which negates Tibet’s sound development path and attempts to create a “state within a state” on Chinese territory as an interim step towards the ultimate goal of full independence. The report accuses the Dalai group of being opportunistic in the talks with the central government. The central government has followed a clear and consistent policy towards the Dalai Lama, the report stresses. “Only when he makes a public statement acknowledging that Tibet has been an integral part of China since antiquity, and abandons his stance on independence and his attempts to divide China, can he improve his relationship with the central government in any real sense,” it says. The central government hopes that the Dalai Lama will put aside his illusions in his remaining years and face up to reality, adapt his position, choose the objective and rational path, and do something of benefit to overseas Tibetan compatriots in exile, it says. “The only sensible alternative is for the Dalai Lama and his supporters to accept that Tibet has been part of China since antiquity, to abandon their goals of dividing China and seeking independence for Tibet, and to begin to act in the interests of Tibet and the country at large,” it says. Reviewing Tibet’s history, the report notes that the region first began to embrace modern civilization only after the People’s Republic of China was founded in 1949. 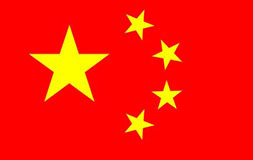 Having going through such important phases as peaceful liberation, democratic reform, establishment of the Tibet Autonomous Region, and introduction of reform and opening up, Tibet has not only established a new social system, but also witnessed great historical leap forward in its economy and embarked on the path of socialism with Chinese characteristics. While following this path, people in Tibet have become masters of their country and their society, and critically, masters of their own destiny, the report says. The majority of Tibetans have shaken off poverty that had dogged them for centuries to enjoy a relatively comfortable life. In 2013, the gross regional product (GRP) of Tibet reached 80.77 billion yuan (13.15 billion US dollars) while the per-capita net income of rural Tibetans was 6,578 yuan and the per-capita disposable income of urban ones was 20,023 yuan. Tibet’s population rose to 3.12 million in 2013, tripling the figure in the early 1950s, and the average life expectancy doubled to 68.2 years. The report presents a rich collection of evidence to prove that the Dalai Lama and his supporters have never abandoned the use of violence to promote their ultimate goal of “Tibetan independence”. According to the report, during the armed rebellion in Tibet in the late 1950s, the United States Central Intelligence Agency (CIA) not only sent agents to help the 14th Dalai Lama flee Tibet but also trained militants to support his forces and airdropped a large quantity of weaponry. Since the 1980s, the Dalai Lama and his supporters have been behind a series of violent incidents in Tibet, including an incident on March 5, 1988, that led to 299 police and civilian casualties and the one on March 14, 2008, in which a total of 18 people were burnt or hacked to death, and 382 people were injured. Since 2011, they have incited Tibetan lamas and lay followers inside China to engage in acts of self-immolation. “For the Dalai party, ‘peace’ and ‘non-violence’ are no more than fig leaves,” the report says. Since the Dalai Lama fled abroad in 1959, the central government has all along exercised great restraint and done its best for best solutions, the report says. “However, he (the Dalai Lama) has repeatedly made choices that run counter to the wishes of the central government and the people of Tibet,” it says. The central government received 13 visits by private representatives of the 14th Dalai Lama between 1979 and 2002, and ten visits from 2002 to January 2010, according to the report. In 2011, the Dalai Lama announced his “political retirement” and his private representatives who had kept contact with the central government also “resigned”. Since then, the Dalai group has declared that it would only talk with the central government in the name of the “government-in-exile” thereby destroying any basis for contacts and negotiation, which have now been halted, the report says.